DivX Pro 7 allows you to create and play high-quality DivX videos and provides playback support for interactive video menus, subtitles, alternate audio tracks and more. DivX technology can compress digital videos 5 to 10 times more than the MPEG-2/DVD format and hundreds of times over raw digital video. It also offers multi-threading support, giving you better performance on all HyperThreaded, dual core and dual CPU (SMP) systems. In short DivX Pro 7 is a perfect software for viewing HD videos, creating DivX videos and compressing them without loss in quality. 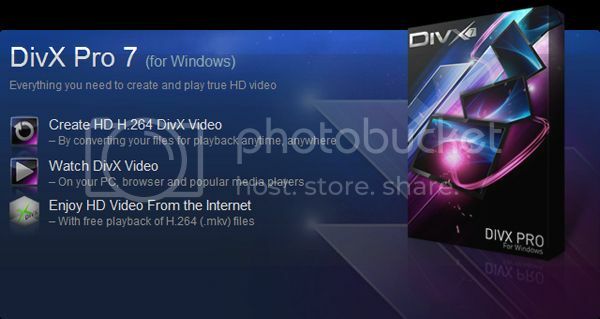 DivX Pro 7 for Windows requires Windows XP or Vista (32-bit). The software isn’t a freeware but you can get it for free through a Computeractive magazine promotion. The promotion lasts only till 3rd October. So, grab it before the offer expires.